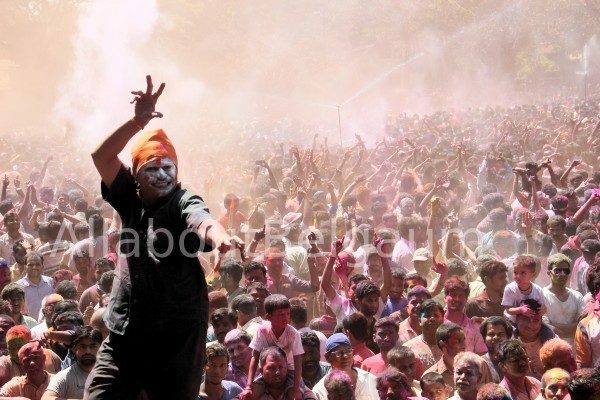 The festival of colours was celebrated with great enthusiasm today in the city except Shahpur area which celebrates it on RangPanchami (fifth day). Huge crowds gathered at the event on Vaccine Depot organsied by former MLA Abhay Patil. Laxmi Hebbalkar president, Karnataka Pradesh Mahila Congress organised a holi only for Women at CpEd ground.